Home > Boeken > A Perfect Medium? An in-depth analysis of oracular divination in Plutarch’s thought. Oracular divination was of special concern for Plutarch of Chaeronea (45–120 AD), Platonic philosopher as well as priest at the oracle of Apollo in Delphi. The peculiar nature of Delphic divination as an (im)perfect intermediary between the material and the immaterial world is fathomed in a thorough study of Plutarch’s Delphic dialogues. 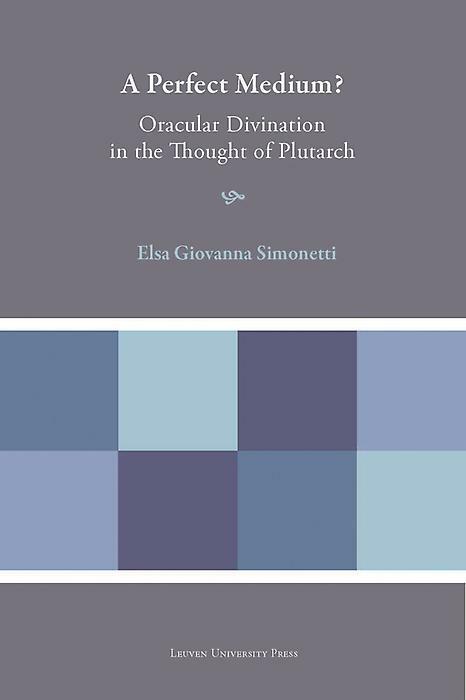 This in-depth philosophical-conceptual analysis will disclose an original interpretation of oracular divination in Plutarch as interconnected with his psychological and cosmological conceptions. A Perfect Medium? reveals the Delphic temple as a crucial element in Plutarch’s philosophy, as a microcosm reflecting the cosmic dynamics, and as a symbol embodying the relationship between human thirst for knowledge and divine absolute wisdom.